Argh! I know these pirates. 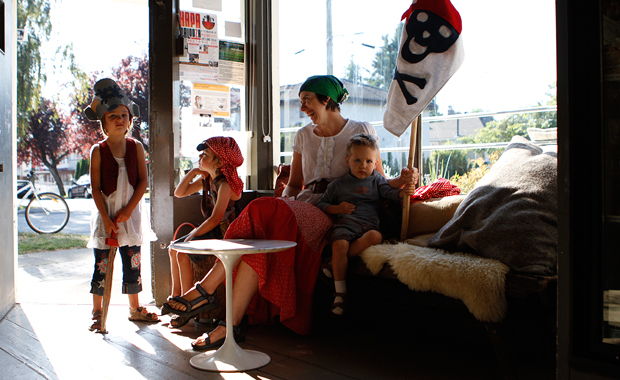 The little pirates are my grandchildren and the mama pirate is my daughter. How fun. I'm so glad they visited you at your lovely shop. We were lucky enough to catch the pirates on parade! Love, love, love the vibrancy and spirit of joy that pervades this place.